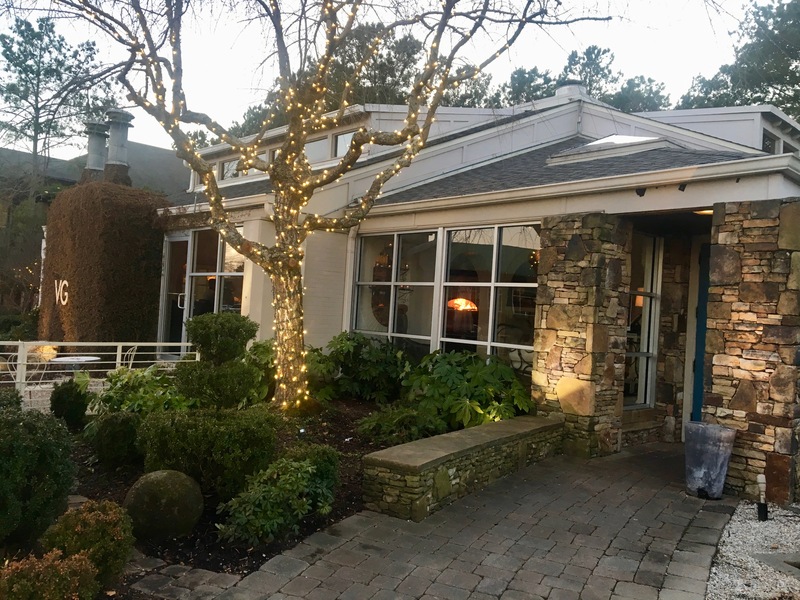 Those of you who follow this blog know that, on our last date, we had a disastrous outing at Sage Woodfire Grill on Windy Hill. 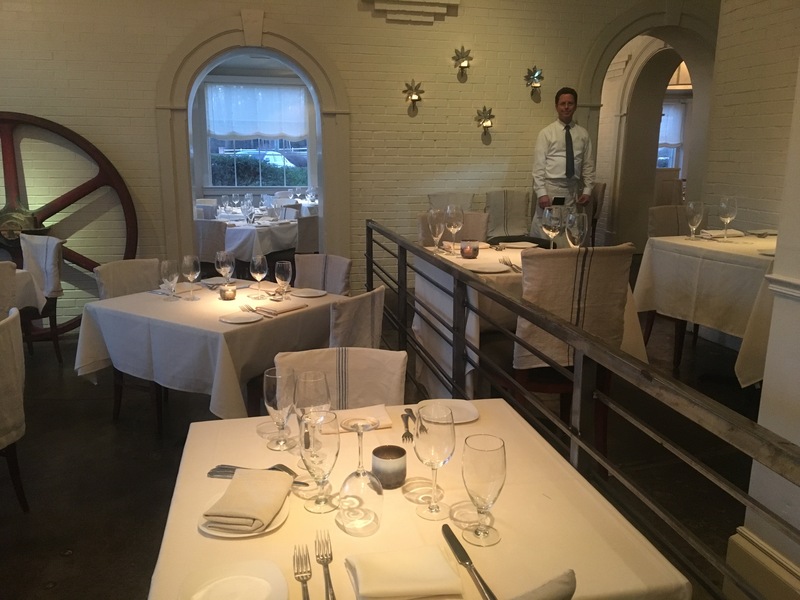 We are pleased to report that this week, we visit a much nicer restaurant with better results. We are at VG’s in beautiful uptown Roswell, just a couple of miles north of the hustle and bustle on Canton Street. Evidently, this used to be Van Gogh’s Bistro and they shortened the name. Although it does not look it from the outside, this is a big building. The bar and a dining room are one way. Their decorator likes white surfaces. There is a second dining room, where we ate, also decorated in white. We are headed to the theater in Roswell, so this is a short visit. No drinks (the beer list looks promising) and no dessert. When it’s showtime, it’s “gotta go” time! 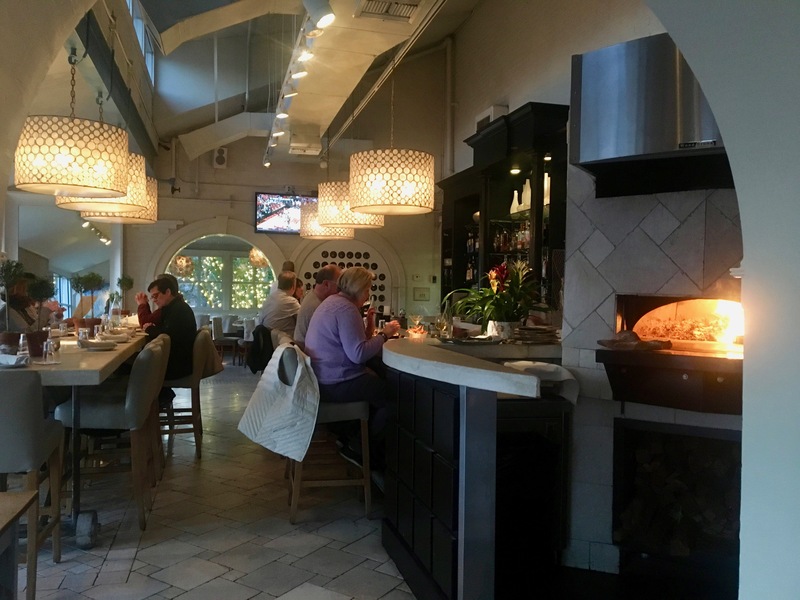 VG’s bills itself as a “contemporary take on French cuisine”. The menu has some French words on it, but we really don’t see where the French food is. Give us some cassoulet or escargot or a salad Nicoise. Nothing like that is to be found. Maybe the menu leans a little Mediterranean. At least the wait staff is not snooty. 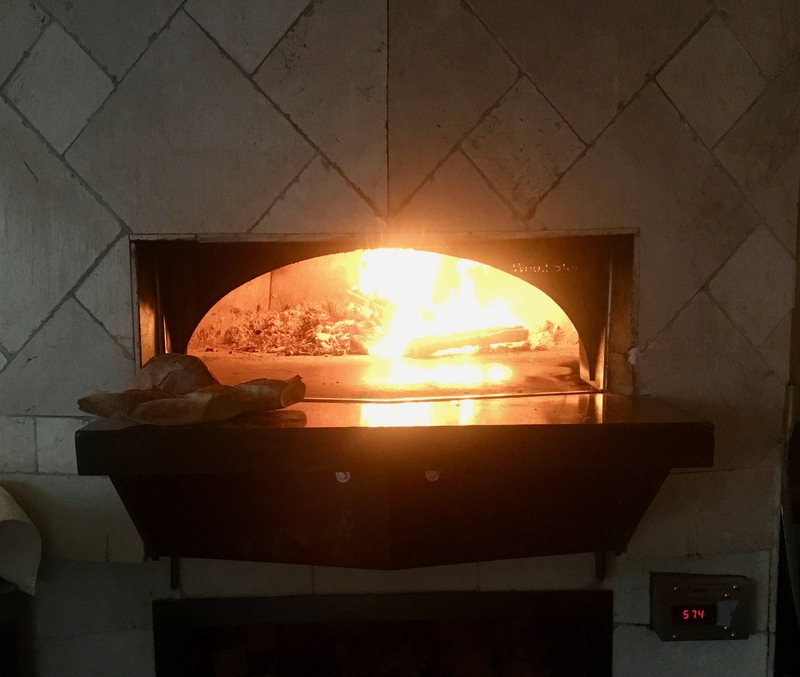 If you are lucky, your food will come out of this beautiful, white tile-encased, wood-fired oven. Alas, none of ours does, which is a reason to go back. Eve gets one of her favorites, Carolina trout. 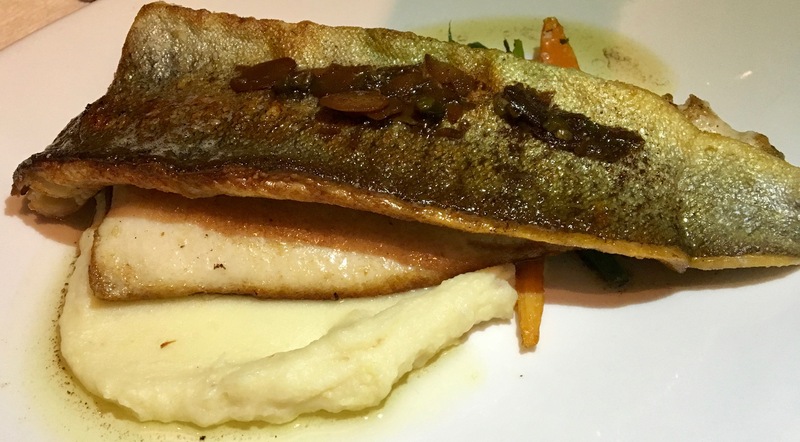 After all, there’s nothing more French than Carolina trout! It comes on pureed parsnips. Is a “puree” French? Anyway, the trout is moist and plentiful, with a nice crisp to the skin. 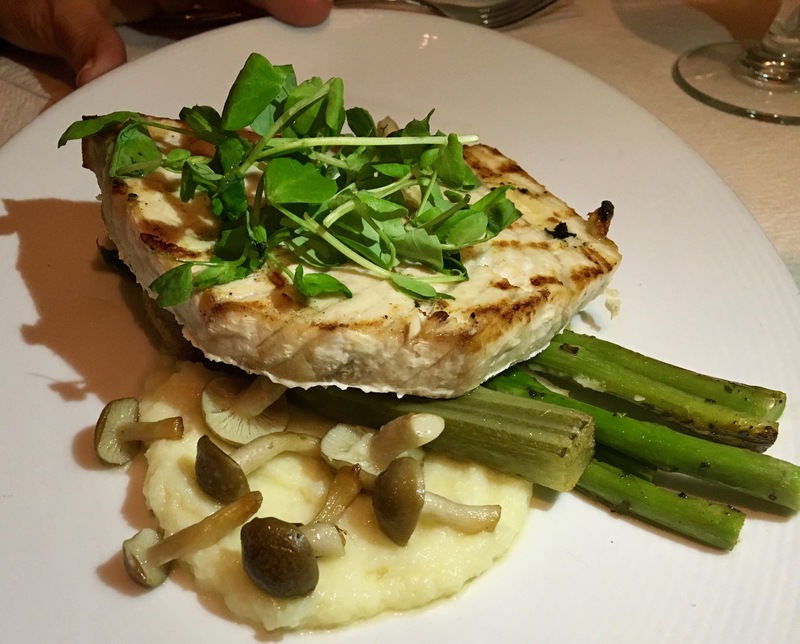 Our friend Leah, the reason why we are here tonight, gets one of the specials, the swordfish. Another French dish? It’s prepared similar to the trout and comes with parsnips and asperges, which as we all know is French for “asparagus”. I get another one of the specials. If you are lucky, they will have this when you go. This is the lamb shank. 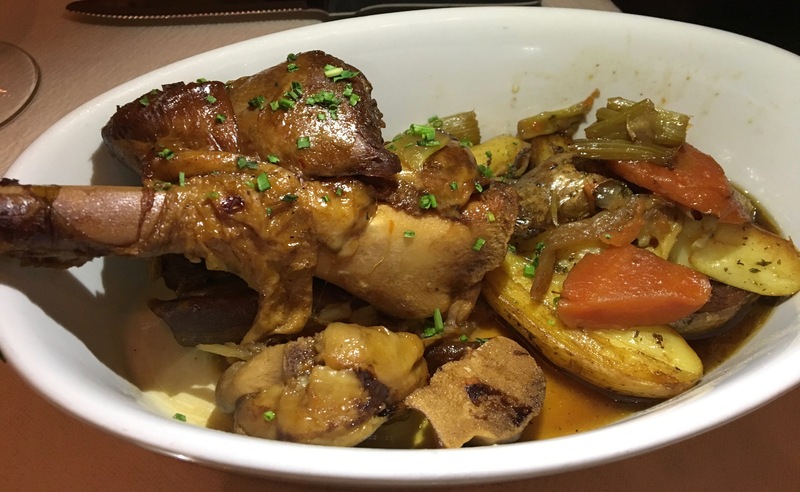 It has been slow-cooked for hours and comes with potatoes, carrots, celery and mushrooms. I absolutely love this dish. I don’t eat a lot of lamb, but VG has figured out a way to make this meat moist and tender. I do not need a knife to cut the lamb, which can be tough if not cooked correctly. Unfortunately, we must get to the theater and can’t have any bread pudding or beignets for dessert. There’s a really nice playhouse in Roswell at the Government Center. We never even knew it was there. We see “Tenderly” on our “dinner and a show” date, which, by the way, is a great description of how my lamb was prepared. Rosemary Clooney fans (believe it or not, we are too young to remember her heyday) will really enjoy the show.